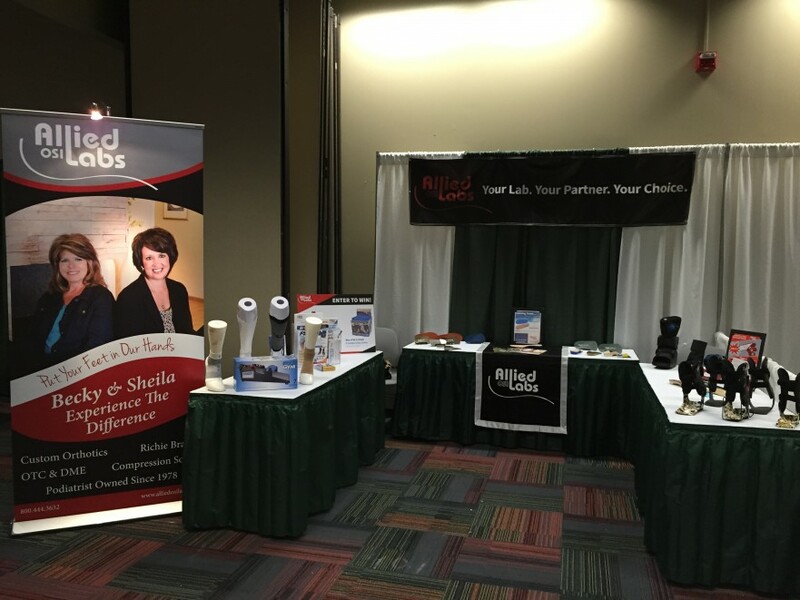 It was a pleasure to join you again this year at the Midwest Podiatry Conference, March 31st – April 3rd. It is the premier meeting for thousands of podiatrists and assistants in attendance. The exhibit hall was a hub for innovation and information. Allied showcased the new product line from ing Source, Inc. We were happy to have Mr. Josh Higgins, VP of Sales, at ing Source, Inc. join us. ing Source, Inc. is located in Hickory, NC and are the inventors of the popular OS1st brand of medical and performance products. We are excited about our partnership and the bright future ahead. The popular FS6 Plantar Fascia Foot Sleeve is the perfect compliment to foot orthotic therapy. It is a 6 zone compression sock that is incredibly effective for plantar fasciitis, Achilles tendonitis, ankle instability, posterior tibial tendonitis and Sever’s disease. Also, coming soon is the AF7 Ankle Bracing Sleeve with K-Zone Bracing Technology for stabilization and ankle sprains. All of these new products were very well received. Allied OSI Labs displayed our entire product line including Custom and OTC orthotics, Richie Braces®, DME, and more! We heard positive feedback about our dedicated Customer Service team. Becky and Sheila’s expertise is invaluable!